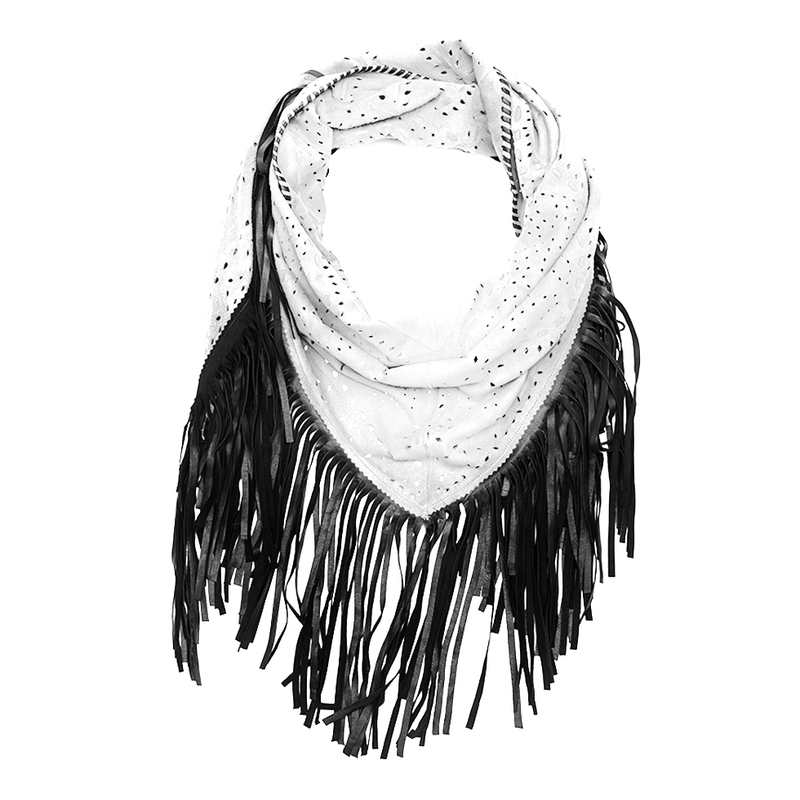 Bring a rockchic boho vibe to your wardrobe with this premium genuine suede shawl in a bright white color with jet black leather fringes. 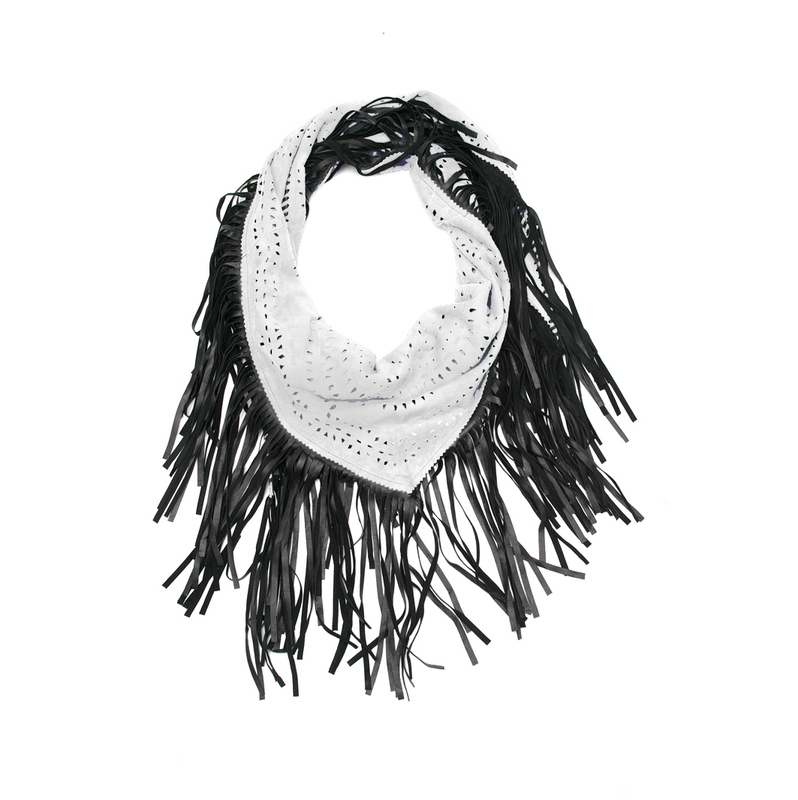 Boasting handcrafted perforations and smooth black leather fringes, you’ll love this statement style with a glam leather look. Wear it open in the front, knotted or around your hips like a wrap skirt.